One of the key responsibilities of running a business is having the skills to handle complex business transactions and securing the best contracts and deals for your company. Below we discuss some of our best tips for negotiating favorable terms. We know it might seem obvious, but preparing as much as possible before entering any negotiation is essential. Know everything there is to know about the business contract so that the other side doesn’t have the chance to blindside you with something you could have known and that may affect your position. Losing your cool is never going to get you the best outcome in a negotiation. The opposing party is a professional just like you, and it’s not a good look to lash out and say something that you’ll later regret. By remaining calm and professional throughout the entire process, you can rest assured that your reputation, as well as your deal, won’t suffer as a result of how you acted at the table. One of the most common mistakes people make while negotiating is conceding too much in favor of the other side. While conceding on some less important parts is a good strategy to help get you what you want in other areas, take care not to concede just for the sake of it because you think it will definitely get you what you want. By standing your ground on the points that matter, you can show you’re serious and give yourself a better chance at success. Although it’s important to draw hard lines on some points, it’s also just as important to know when to walk away. Sometimes parties just can’t reach a point that they each feel is fair and you just have to know what your limits are and when your expectations can’t be met. You don’t want to keep negotiating just for the sake of negotiating and wind up with a deal that you’re less than happy about just because you couldn’t bring yourself to walk away. Navigating a successful negotiation can be difficult and stressful. And one out of place sentence or a missing word, can result in high risk and/or a big lawsuit in the end. 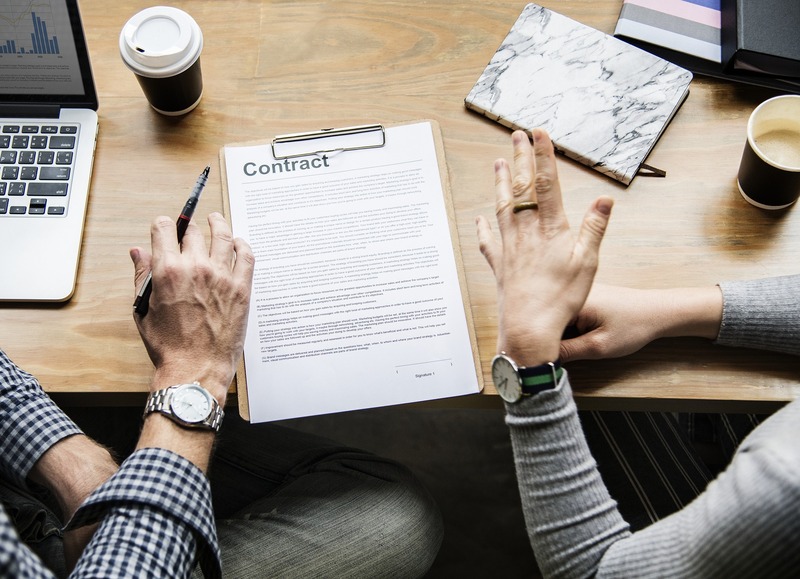 So, before you actually embark on a negotiation and definitely before you sign an agreement, it’s a good idea to consult with an experienced business attorney to make sure you’ve got all of your bases covered. At Ser & Associates, we regularly work with business owners to assist and or handle the negotiation of their business contracts. So the next time you find yourself negotiating a deal or looking at a 70 page agreement in front of you, please contact at 305-222-7282 and let us do the negotiating for you.